There’s a global revolution underway. 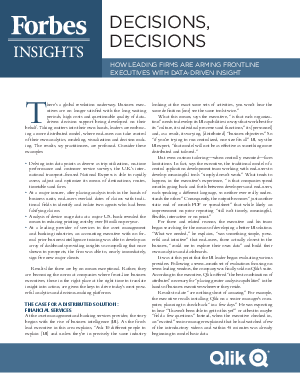 Business executives are no longer satisfied with the long waiting periods, high costs and questionable quality of data-driven decision support being developed on their behalf. Taking matters into their own hands, leaders are embracing a more distributed model, where end-users can take control of their own analytics, modeling, visualization and decision making.